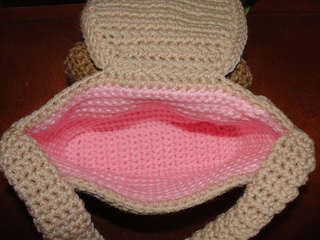 You are going to ♥ making our Animal Flap Purses! 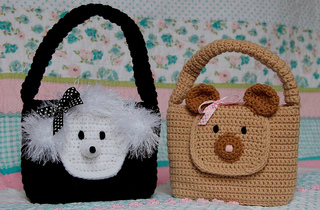 They are fun because the HEAD of the Bear and Poodle forms the FLAP of the purse! 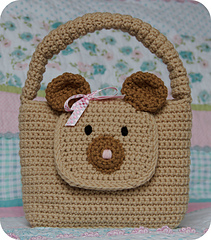 Whether you choose to make the precious Poodle or the adorable Bear, your little girl will be very pleased! 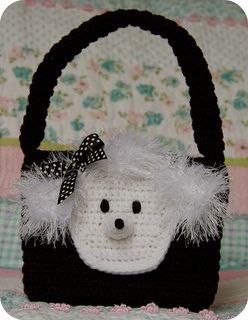 The purses are perfect for any occasion and make wonderful gifts! Handle can be made in 2 sizes. Pattern uses worsted weight yarn.